Part 3 of this review will focus on the camera’s portable setup capability. We will also go into the newly introduced overclocking feature which makes the camera a lot more capable, things still left to add into the software platform that could improve the user experience and help in getting the shot plus, a conclusion for the SC2X review. Being portable can be easily done with any laptop Mac/PC/ChromeBook connected to the camera Ethernet directly but unless you have a full rig support it becomes an exercise in frustration to carry a laptop all day. You will need a surface to support the computer while working in the field. That is not a problem for indoor use but for outdoor it becomes a harder setup to use and cabling can get in the way. The first idea was to create a wireless setup for the edgertronic that would let the camera be controlled by an un-tethered terminal computer. By Connecting the edgertronic to a wireless router via an Ethernet cable we were able to control the camera from a WiFi setup by a Laptop or even a Tablet computer capable of running Google Chrome browser. The delay came at about 1.3-1.4 seconds, so any adjustments in focus or position would be quick. Be advised that the camera connected straight through an Ethernet cable to a PC or Laptop has about a 1 second delay. So adding .3 or .4 seconds to form a wireless control machine is not bad at all. At times the feed went down close to 1.1 seconds or close to par with a direct Ethernet connection. This was affected by distance, signal range and or position of the laptop or tablet. By using a Wireless N router we were able to have a consistent feed through a couple of walls and over 100ft without disconnections. The camera was easily controlled and could be used from a different location within the range. By using a 50ft Ethernet cable it was easy to connect the camera to the wireless router which was plugged far away. By freeing the camera from a short tether it becomes a much more versatile tool. You also have to think about power cords or portable batteries. We went with the bescor power pack with 12v car adapter. It gave us about 6.5hrs of continuous camera use. After it ran out of juice the recharge was done over night. Amazon has the battery kit with charger for under $80 here! Another recent battery option is the Paul C Buff Vagabond Mini $239.95 MSRP. Which lets you power devices via standard AC Plug like your Laptop, charger and the edgertronic camera for up to 10 hours continuously. But why not go further and go even more portable? Wifi routers are good and all for a building, factory or laboratory but what if I just want to take the camera out for a spin and catch some nature shots? By connecting the edgertronic to a tablet directly you get the low latency of 1 second refresh of the live image and complete touch control of the interface. The setup will work either with Android powered tablets like the Galaxy Tab series and or the Apple iPad with an Ethernet adapter that works with it. We found an Ethernet adapter for our Galaxy Tab S 8.4″ Tablet on eBay for around $12 US. Here is a link to a search for this particular adapter on eBay! Be advised that many sellers on eBay sell refurbished products that are not new. If the price is too low it probably is a re-manufactured unit even though it is listed as new. Our Galaxy Tab S 8.4″ has about 10hrs battery life normally at half brightness, with the Ethernet adapter it was reduced to under 6hrs at medium brightness. When out in the sun we needed full brightness which reduced the battery life to 2.5 hrs for a 100% charge. Once focused and set up if you have access to a wired controller we suggest locking the tablet to save battery. It was a completely different experience to use the edgertronic while on a portable setup with a Tablet. The camera, the adapter, the lens, the trigger and battery all fit in a small shoulder bag. With a lite tripod added to the mix you have a portable high speed solution that can go anywhere and film wildlife or other nature subjects. If you get an edgertronic camera you really need to try a setup that is as portable as this, it becomes very close to what a DSLR is able to do for portability when shooting video. We recommend you choose a larger tablet as our 8.4″ Galaxy S did have it’s battery drained too quickly and the interface sometimes required portrait orientation to adjust settings. A 12″ tablet would make this setup even more impressive while a 10″ will make it very portable still. The last method for edgertronic portability came courtesy of Marcus Ranum who also has made his own edgertronic review here… Marcus decided to try the ZyXEL nano wireless router. Available on Amazon for under $24 USD. Here is the PDF Version of the connection guide by Marcus Ranum. The router is so small that you can Velcro it to the side of the edgertronic and by connecting it to USB on board the camera “powered by the edgertronic SC2X itself“ it becomes a full featured wireless access point that can be accessed by laptops, PCs, tablets and even smart phones. We did not try this method first hand but many edgertronic owners use this method for portability. We expect the delay from live preview to be around 1.2-1.4 seconds same as our wireless router test. Very nice! Here is the setup; Camera is connected to the router by USB for power and a small 1ft Ethernet cable is connected from the edgertronic SC2X to the router. Then the Router feeds wireless data to any device with a chrome browser and WiFi. Pretty ingenious setup! If you want complete freedom from the camera and want to control it wirelessly and with minimal cabling, having the nano router setup is the way to go. The power of the portability options create a camera setup that is able to be anywhere and everywhere. Underwater setups would require something more sophisticated as wireless signals are unreliable when it comes to water, they will either not reach anywhere or reflect too much to be a coherent stream. For setups in every other scenario the portability of the edgertronic is both easy and relatively cheap to achieve. Be aware that using the camera out in nature will need a very bright screen to be able to read the interface in the sun. Tablets and laptops even at full brightness may become hard to read or judge focus on the interface. Having a shade screen for a tablet or laptop will help when dealing with sun issues. Dealing with the California intense sunshine at HSC is great for high shutter speeds and frame rates but it’s torture for judging camera settings, so get a good bright screen that performs well in direct sunlight. Many of the newer OLED sceens with HDR do much better in sunlight due to newer coatings that are anti reflective. We also can’t stress enough the unsealed aspect of the camera. The vents are not prepared for water splashes of any kind or sand/dust getting in there which includes the mount when changing lenses. Your camera might be wrecked if subjected to inclement weather in seconds. Plan ahead with an EWA marine or other type of camera weather case/sleeve if you plant to be in humid or flying particle environments like the beach or industrial scenarios. The camera can take enough heat to be in a sealed case for a while so that is a plus for harsh climate use. During our edgertronic SC1 & SC2+ reviews in the past we had suggestions for new features for the camera software and we will review progress on these and new unexpected features here. We were expecting this feature for a while but now that we have it, there is no way we can go back and use the edgertronic without it. It works extremely well and saves so much time that we really cannot be more pleased with it. Gone are the days of waiting for the entire buffer to be saved to the SD card and recording unnecessary information. Now you can only record whatever you need of worthy information. We set the feature to On and never looked back. This is an excellent free upgrade to all edgertronic users from the SC1, SC2, SC2+ and now the SC2X. Review Before Saving Feature showing In and Out Points! Histogram: (Still Missing X): While the edgertronic SC2X has good dynamic range and hardly misses exposure it does present a problem with highlights when over exposed or shadows under exposed clipping data. Having a histogram is an ideal way to avoid under exposure and over exposure in the footage. The absence of RAW shooting makes this feature needed even more. While exposure has to be judged on the live screen, it is sometimes extremely hard to know if highlights will be blown out or shadows completely cut. Judging exposure will become less of a guessing game. A simple histogram is one of the most needed features for the camera to preserve all luminance values in a frame and dial the correct settings to maintain balance. The Histogram should be live and positionable on screen. A color histogram with RGB values for the color edgertronic would be the icing on the cake! Focus Peaking (Still Missing X): Focusing on the edgertronic is somewhat easy and if you have a large monitor more so. 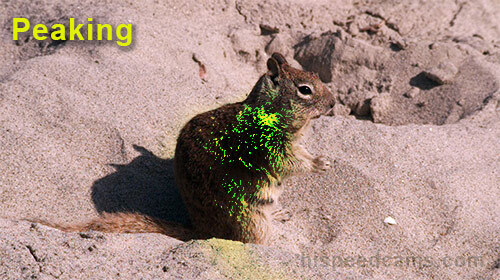 However, when you are outside in the sunshine or under extremely bright light, focusing is very hard. Having Peaking with color accent on high contrast areas would be ideal to be able to accurately focus on the camera by adjusting the manual lenses. The peaking issue and the histogram could be addressed by having HDMI out from the camera as many portable HD video monitors could be adapted and have both features instantly implemented as many brands have both exposure information and many more settings like false color, peaking and even LUT support. Since the edgertronic has no HDMI out we have to wait for the software to offer these features if possible. White Balance (Still Missing X): Balancing to white or gray should allow for a custom White Balance setting and some presets like tungsten, incandescent, daylight and maybe Kelvin. The edgertronic is already balanced to daylight right off the bat which is great if you are using 5600k light sources or sunshine as your main light sources. Which should do well for most shots; however, if you are in different artificial lighting conditions the inability to adjust white balance is hard to cope with. This feature is especially needed for TV and Film production. The lack of RAW support (Which allows White Balance changes after the fact) makes this feature a must-have for serious filming. Since the edgertronic SC2X is intended for the TV and film markets there is a real need for custom white balance or at least presets. 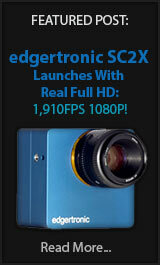 Since the edgertronic SC2X is geared to the TV and Film crowds then RAW file support while saving is very important. Many times you have to grade the look of a file to match other cameras, RAW support allows for your editing program to make this process much easier as both color correction and S curves can be applied after the fact. It may be even possible that ISO value could be factored in after the fact like the RED cameras do. But we will be more than happy with white balance, a flat image and the ability to recover highlit/shadow information. This will liberate the image from the 8 bit wrapper constraint which the sensor is subjected to by loosing at least two stops of dynamic range in the process. The camera is still gradeable and most images taken with it can be tweaked and fixed in post to fit your needs but the RAW support will be an excellent feature for TV & Film production users. If implemented we wish to see Adobe DNG RAW as the standard used. It is freely available, no royalties for camera manufacturers, easy software compatibility and should be relatively easy to implement. Saving to this format will require a longer recording time and probably will not be ideal for SD cards. a Portable Hard Disk which can be plugged into the edgertronic is an easy solution as is Ethernet and python scripted file server if needed. Note: The IP address of your camera can change depending on the connection used. Ability to browse the SD card contents and Preview Saved Footage besides the current last recorded. A simple HTML 5 based file system with the ability to rename, erase and copy clips to and from the SD card to a connected USB device. Erasing a video should also erase it’s Exif file along with the clip. NOTE: A way to access files and interface with them is planned for a future release of the camera software. Multishot auto save – Automatic save of multi-shot videos if the camera is idle for more than a specified timeout value. Hardware watchdog timer – Enable the DM368 hardware watchdog timer to reboot the camera if the python code stops responding. Auto download videos – After the camera is finished saving the video file, copy the file over the network using ftp or scp. Email alert – Send an email when the storage device starts getting full. NOTE: We have to point out that the absence at this time of these features above does not impact the usability and or performance of the camera today. It works as a great slow-motion camera and it does so reliably with a robust set of features. The open architecture allows for all sorts of features to be added in the future and if you do not see a feature you desperately need you can probably program it to fit your needs. edgertronic SC2X Overclocking Feature Software v2.2.2g3 and Up! 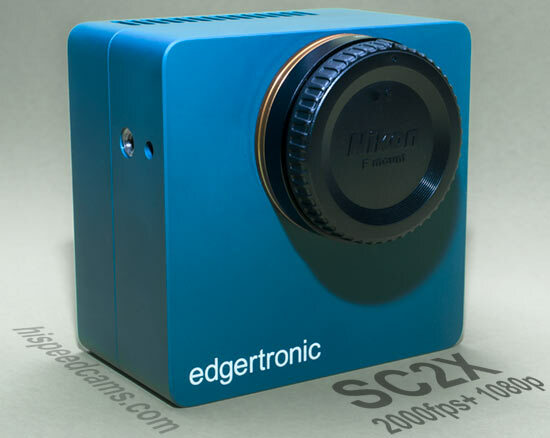 During the middle of our review we received a new software update for the edgertronic SC2X camera. The new v2.2.2g3 patch discussed here at HSC allows for overclocking the SC2, SC2+ and SC2X cameras to offer even faster frame rates. We spent a great deal of time making the most of this update and finding what setting you will probably want to apply in order to extract the most out of the new feature. As you can see from the interface screenshot above you can apply overclocking easily from the main interface. Off means, there is no overclocking applied and all factory settings are used. A,B,C & D will each boost the camera’s speed by 5% for a total of 20%. As you can see from the table above, the gains in frame rate are pretty extreme in some cases. It makes the camera a true 2,000fps 1080p Full HD capture device as we found the Overclock A setting to be nearly as clean as the stock 1,910fps 1920*1088 pixel stock setting. The lower in the resolution you go, the more frames can be extracted from the sensor, overclocking makes the 1920*96 pixel 20,132fps now an effective 24,940fps camera if you need to capture a really fast event. The camera at 1920*720p which is the HD 720p equivalent it goes from 2,940fps to 3,642fps over 700fps more which is the original edgertronic SC1 stock speed. Nothing short of amazing by those numbers. While the overclock settings in A and B showed consistent performance without much image quality degradation, the C & D modes started to show some line artifacts in some frames. They may or may not show depending on your camera as with all electronics; the yield on some of the chips can be different depending on the batch. Some cameras may do better than others. We found that under the 1st second of recording there were no artifacts in the image even in the C & D overclocking but anything past that point they did show up the further in the buffer we went. Either information gets corrupted as more of it is written or the memory is generating signal noise at those speeds. Note: According to edgertronic our camera sample is alone in showing these color artifacts. Their other SC2X cameras do not exhibit these artifacts in testing. As we mentioned above, some semiconductor yields are better than others and that may be part if it. All cameras work fine in standard modes, overclocking is an experimental feature and should be treated as such. Also, a fix could be in the works for the artifact if it affects more cameras. Overclocking artifact on the edgertronic SC2X Overclock D setting. Depending on the camera it may not show up. Your mileage may vary! That said the A & B settings are completely usable and free of the artifact in our review camera, but will require you to properly light the scene being shot by filling every shadow that you want to conserve detail with some extra lights. Overclocking increases the image noise and the higher you go the more it shows up. Overclock A setting is good enough for production if lit properly while B, C & D will be a matter of experimentation. We consider the edgertronic SC2X a 2,024fps production ready 1080p camera due to it maintaining image quality with Overclock A and delivering excellent performance. Like with any circuit overclock, your mileage may vary but a little should do fine for most users. We recommend you stay at A & B settings and at 1920*1088 or 1920*1024 for TV and film shooting as these are the most reliable high-resolution overclock settings. You get nearly 2,300fps at the 1024px setting with overclock B. A simple scaling to 1080p will not be too harsh and still could maintain broadcast quality. Not bad for a free out of spec feature! Overall the overclocking feature is a win for the SC2X camera, it makes it even faster at capturing events and if you stay within the A & B settings quality is still very good. For anything mission critical and only single take shoots then we would not venture above Overclock A setting. However, you should do some tests before you decide to use it on paid shoots. The camera is excellent with overclocking turned Off, and usable with it on. It will be a matter of weighing your priorities. We, however, feel confident with the A setting as a usable feature on most occasions especially in well-lit scenes including full sunshine. The edgertronic SC2X camera is a full featured high-speed option for TV & Film production in a segment of the market dominated by very few and prohibitively expensive equipment which is orders of magnitude more in price. It creates a new market for 1080p full HD 2,000fps at “$15,990 USD”. It gives film students, creative video professionals in television & film unfettered access to their very own professional grade high-speed camera at up to 20,000+fps at reduced resolution and a killer maximum shutter speed of 1/800,000 sec. Most consumer high-speed solutions cannot surpass 1/30,000 sec, so that is one crazy good spec. It works with just about any terminal that can run the Google Chrome browser including Laptops, PCs, Macs, Android Tablets, Smart Phones or iPads with an Ethernet interface or wireless with the addition of a router to the mix. The interface is straightforward and easy to operate with many features that will help catch the hardest of shots. Pre-triggering and Post-triggering will allow any capture combination you can think of with an interface that lets you know in advance the maximum shot duration without doing any math. Resolution wise it delivers Full HD 1080p at 1,910fps stock and 2,024fps in the Overclock A setting. The closest competitor that is available and can shoot an anything close to these speeds costs at least 5x the price of the edgertronic SC2X. It is quite a marvel of a camera. As an evolving platform, you get support now for preset favorites that let you recall settings commonly used and a way to browse within the browser the file system and download files to the host computer if needed. You get overlay data and a logo image if needed as well as a very useful frame counter for scientific and industrial uses. The non-electronic Nikon F mount allows for a large combination of lenses to be used with manual focus properties and with the use of adapters several other lens brands. While some will want access to a Canon mount, it is a small compromise as it was intended for non-electronic operation in the first place. It is after all one of the better mount options out there. If one mount could be chosen, we would go for the Sony NEX mount that has adapters for dozens of mounts including Nikon, Canon, Minolta, Leica, Pentax and PL. However, the Nikon F mount is a good compromise that performs as needed. The edgertronic camera delivers very good resolution that when looked at in a 1080p display or TV; feels very sharp and detailed. For those of you looking for the Realm of affordable 4k slow motion, you will have to wait a bit longer. Most content is still delivered at 1080p and it will remain so for the foreseeable future. 4k Delivery on cable is close to non-existent and only services like Netflix, Hulu or Youtube allow for 4k delivery and with some serious bandwidth bottlenecks. The affordable 4k slow motion product will come in the future but 1000fps today costs over $100,000 USD in the Phantom Flex 4k , we estimate a long time before 4k high speed becomes commonplace. You will be better off up-scaling the excellent 1080p image from the edgertronic SC2X to 4k and forget about 4k for now. The camera has enough detail for most discerning viewers. Click image for larger view 1:1 4k Upscaled 1080p from the SC2X Camera. Excellent 1080p quality! In the image above you can see that the camera delivers excellent 1080p sharpness across the board. Upscaling to 4k UHD above yields excellent results that should be able to intercut with a film or TV show shot in 4k if needed. Use your favorite scaling software and add a little sharpness to improve the results of your end product. Image Artifacts: The Camera does have a few issues when detail gets extreme in shots with angled lines; like color moire. High-speed cameras and regular cameras with no low pass filters exhibit the same artifacts. The edgertronic does not have a low pass filter which makes moire and aliasing more apparent and at the same time allows for a lot more of detail captured to be retained in the frame. However, the SC2X delivered excellent results with barely a hint of a moire problem in regular use. We were hard pressed aside from the chart test to see the appearance of color moire. We did encounter some aliasing in shots containing strands of fibers like hair or fur, common in most cameras. For the times for when detail will show these artifacts, you could always de-focus just a tad or add a softening filter to the lens. This will get rid of most artifacts the very few times when they will show up. Also, you can try an optical low pass filter like those made by Mosaic Engineering and adapt it to the edgertronic if needed see here! The video below shows a low pass filter applied to a Nikon camera. It can make wonders to reduce artifacts from the lack of a built-in OLPF in your camera. That said the edgertronic SC2X is able to handle almost every scene without artifacts showing up, the extra resolution if good enough to counter these compared to the previous edgertronics with 720p sensors. Resolution has its benefits and lack of artifacts in shots is a big one! Codec: The H.246 codec in the edgertronic SC2X is very good at retaining detail and motion with no visible artifacts, it is a great implementation of the variable bit-rate codec. The case for RAW gets stronger if you need more dynamic range or want to process images with a RAW converter and the flexibility it allows when it comes to color, sharpening, white balance and noise suppression. However, we were impressed by the cameras near 13 stop Dynamic range and beautiful color rendition. The detail, color, and codec are all at professional levels of quality, certainly, there is no lack of motion bitrate for even demanding users here. Files grade and are edited seamlessly on any modern computer system with beautiful color, tonality and highlight roll-off that are at the limits of what an 8 bit image can provide with nearly 60 megabits/sec when using high quality encode mode on a detailed scene at 1088p which is extremely high by any standard. The open architecture of the camera allows for adding features or automated functionality for your applications. Be it a laboratory experiment or an automated photo booth. You can completely automate the camera capture process and have an autonomous high-speed terminal for any use. The new Python language programming additions allow for even more customizability by allowing files to be saved on a remote server or computer for instant backup after the first save. These and other features are ages ahead of other prosumer cameras that shoot pseudo-slow motion like the Sony FS5 or FS700 which offer no programmability. Who is it for: educators, scientists, industrial production line monitoring, hobbyists, imaging geeks, nature researchers, party photo booths, small and large video production companies for TV & film, sports coaches, universities and even NASA as the cost is so low compared to the performance achieved. If you ever wanted to have your own high-speed camera for capturing nature wildlife, people, cinematic scenes, products for TV ads, food, people, and pets in full 1080p slow motion at up to 2000fps this is the camera for you! Who should pass on it: Soccer Moms, people that look for better low light ability and higher frame rates at 720p resolution “like the edgertronic SC2+ here”, point and shooters, scientists that care not for detail, industrial testing that is fine with 720p resolution and needs better low light and higher 720p frame rates. The workflow on the edgertronic is simple but it is not for everyone, if you think that you want it to record your kid at soccer or baseball it could be a frustrating experience because of the lack of a built in screen. If you install a wireless nano router and use a tablet it becomes much easier but it is hardly at the level of a camcorder or point and shoot camera. You need to think your shot, pre-focus, frame and prepare for every recording prior to clicking the trigger shutter. Waiting for the camera to write a clip can also make you miss the next moment if you choose a very high frame rate that takes minutes to record and save. However, all of these issues become transparent after using the camera for a few days and becomes second nature with it becoming easier every time. The camera is very easy to use compared to most other professional slow motion options out there and this is no small detail. Dependable and solid design with 24/7 operation in mind. High Quality 1,910fps Full HD 1080p is a first for this price range. Large APS-C sensor with large 10um pixels excellent in low light. Nearly 13 stops of Dynamic Range. Well controlled noise pattern, easy to improve with NeatVideo if needed. Costs less than 20% of competing high-speed products. Excellent new feature Review Before Saving – Saves Time/Space! Programmable/customizable with SDK and Python support. Ethernet 10/100 and dual 5v Powered USB ports included. Nikon Mount allows for the use of hundreds of available lenses. Wiki page has a wealth of information on the camera and more. 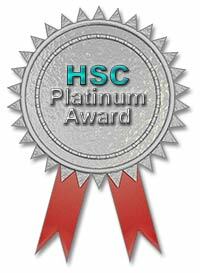 Uses H.264 codec with high-quality encoding to SDHC Cards. Controlled by any device that runs Google Chrome browser. Easy to use out of the box with Automatic Sensor Calibration. Includes Mechanical Shutter for Automatic Black Calibration! Multi-Shot Support which allows several recordings before save. Small footprint allows for portability and custom enclosures. Small Portable 12v batteries allow it to work for up to 10hrs+. Custom info, frame# and logo can be burned in footage if needed. Can be operated remotely with an Ethernet network connection. Active software development continuously adds new features and fixes found bugs. Easy upgrade and switch for edgertronic SC1 or SC2, SC2+ Camera owners. Plug and Play Replacement! Camera lacks weather sealing, requires external casing for wet and dusty environments. Like an EWA Marine Bag see here. No Peaking to aid Focus, No Histogram to judge exposure, No Custom White Balance (Camera is Daylight Balanced) and No RAW/Flat Profile Support above 8 bits in color H.264. Lack of internal WiFi module requires low-cost external solution. Lack of HDMI Out means you cannot use portable monitors that offer peaking for focus aid and LUTs. (needed for TV and Film Production) – You will have to use an Apple or Android Tablet instead. The edgertronic SC2X is a camera that the high speed imaging market had been expecting for a decade. Advancements in processing, sensor design, and economies of scale are used to port what is normally a $50k+ USD camera into a $15,990 package that is ready to shoot. This is a point that we have to emphasize because the performance offered here for the price is astounding when compared to the rest of the market. There is nothing shipping today that gets close to the features of this camera at 1,910fps Stock and up to 2,300+fps 1080p with overclocking enabled in this price range. If you want high-quality Full HD slow-motion video that is affordable above 240fps, 700fps, 1000fps or 2000fps the edgertronic SC2X is the only game in town as of this writing. The camera is rock solid with no crashes or reboots at all during our 7 week testing. The camera is designed for 24/7 operation and it shows engineering that is refined and time-tested. It’s open architecture and programmability makes it adaptable and extensible going forward. Continued software development improves the camera with every release and they do listen considering features we asked for in our earlier edgertronic reviews. The implementation of Review Before Saving and further image quality improvements are just two features that are already implemented in the current release for all edgertronic cameras. This shows a dedication to the user base that most other manufacturers ignore after a couple of years of a camera’s release. Your investment in a camera like this will continue to become valuable over time aside from the estimated revenue generated from TV, Web or Film production if that is your intention. That said we wish they implemented a few remaining features like Peaking for focus, Custom White Balance with presets, RAW/Flat Profiles and a Histogram display in upcoming software revisions. All of which should be doable if there is high demand from users. edgertronic caters to the industrial and scientific crowds for the most part and are a strong name in those markets with heavy numbers of cameras being deployed by fortune 500 companies and research labs. The new edgertronic SC2X is their push to get into the TV, Web and Film production markets and as it ships today, it delivers on the majority of the features this crowd expects. Having those missing features implemented will just make it easier to pull the trigger for this camera against competitive products or rentals. 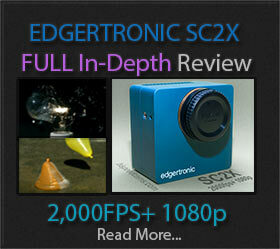 We give the edgertronic SC2X camera our highest praise with the “Platinum Award” for making available for the first time to anyone with a mid-range professional camera budget; a high-quality Full HD super slow motion video camera that breaks the 1,000fps barrier at 1080p and goes above and beyond by doing it twice at 2,024fps using the excellent quality Overclock A. The camera was a joy to use and the footage that you can record will leave you speechless most of the time. The SC2X is a technological marvel that takes full advantage of modern technology. If you are serious about video production, are tired high rental prices for dedicated slow-motion cameras and are looking for an edge over the competition, you should really take a deep hard look at the edgertronic SC2X which will probably be a crown jewel in your camera gear line-up! MUST HAVE FOR VIDEO PRODUCTION! Thanks to Mike Matter of Sanstreak for providing HSC the edgertronic SC2X color camera for this review & to the Sanstreak staff for support. EDGERTRONIC SC2X REVIEW PART 1 – BODY & DESIGN! Thanks for your support of HSC, if you decide to acquire an edgertronic or any other camera please mention this website to the manufacturer. We do not get a commission or remuneration for sales but it helps us measure the reach of our blog. Previous PostiPhone X Slow Motion Samples 240fps!Next PostPanasonic G9 vs GH5 for Video Compared! The fps cameras shpuld be competitive but they are not shipping in quantity yet. The edgertronic and the Chronos are the most affordable options that offer scientific quality results and are shipping in volume. We hope to see fps cameras in the future as a competitor.